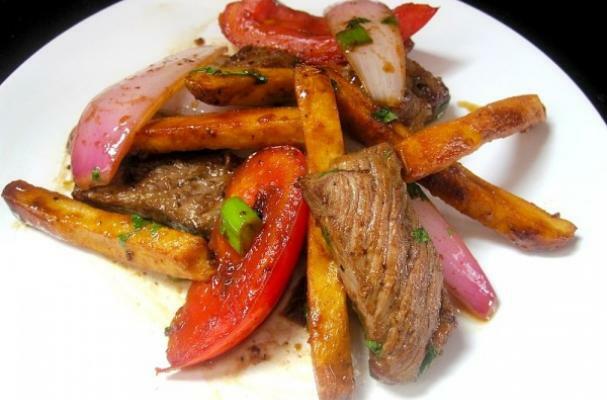 Today is Day 2 in our week of Peruvian cuisine and we’re featuring one of the most important dishes in the country’s culinary history: lomo saltado, or Chinese-Peruvian Beef Stir-Fry. This beautiful recipe is from our friend Nico, author of the insanely delicious blog Pisco Trail. According to Nico, the variations of this dish are aplenty but the key to its success is in the seasoning. This fusion dish blends the traditional flavors of China (soy sauce, ginger) with the spicy peppers of Peru for a meal that is vibrant in both color and taste. Learn more about this dish and get his mom’s recipe here. Want to learn more about Peruvian food and cooking? Join us this October (2014) for the Foodista Culinary to Peru! Learn more here! Check out Day 1's post here.